Google Calendar Sync is a great service by Google that lets you sync your Google calendar with almost all desktop applications and mobile devices. Today, Google is adding support for Outlook 2010 in Google Calendar Sync. Outlook 2010 users could now sync their Calendar using Google Calendar Sync and access it from any device. 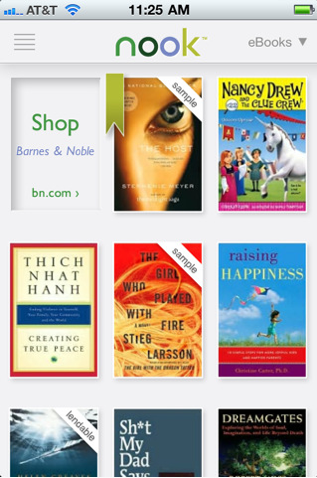 Barnes & Noble has finally launched Nook for iPhone. The App lets you access and read over 1 million books directly from your iPhone. The App is well designed and includes support for multitasking and the retina display. The text just feels crisp on the iPhone 4 and with this new App, iPhone users could get access to a million books. In its quest to explore leading technology and the people behind it, TheAppleGoogle is pleased to announce the launch of our new platform which has been christened as “DevDialogue”. 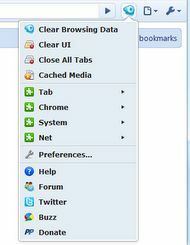 Click&Clean is a great extension for Chrome that cleans all your browsing data, cache, cookies and removes all traces of your browsing history. The extension is quick, easy and really efficient. The extension is developed by HotCleaner and works like a charm. 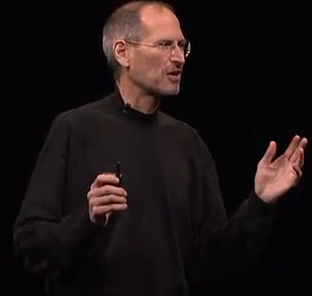 Would Mr.Jobs Not Like Domains and Blogs to do Their Jobs? Well, if the river says why is land coming in its way to the sea? If the clouds question as to why the mountains are coming in between their free flight? If the wind wonders why the sky scrapers have intruded in their path? And the forests wince at the thought of roads cutting through them. Adobe recently updated its Photoshop App for the iPhone and the update makes the App compatible with the iPad too. 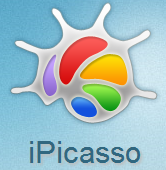 The App is now designed for both iPhone and iPad but the features are almost the same. The App lets you edit pictures and upload it to Facebook or Photoshop Online. There have been a lot of rumors about this event, but if the truth be told, some of the rumors just feel so fake. In a statement earlier this year, Apple’s CEO Steve Jobs said that Apple would announce a lot of great products later this year. The time has come and if rumors are to be believed, the next Apple event could happen sometime in late September or maybe this month. The folks at iFixit have chosen to tear the Motorola Droid 2 this time, the great feature rich phone from Verizon Wireless that runs on Android. They gave the phone the usual iFixit treatment and the results were remarkable. Apple now allows all kinds of Apps to exist on the App Store. Apps that let you watch Xvid movies, browsers and even multimedia Apps. Earlier, we tested Browsers like A1 – Perfect Web Browser and Night Browser and found them to be compelling. 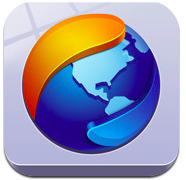 A new browser, Mercury Web Browser caught our attention and we took it for a spin.